Ayurveda is the art of living in harmony with nature. Ayurveda is an ancient science of life, the word 'Ayur' literally means 'life' and 'veda', the 'science' or 'knowledge'. The basic principle of Ayurveda is to prevent illnesses by balancing body, mind, soul, and environment. 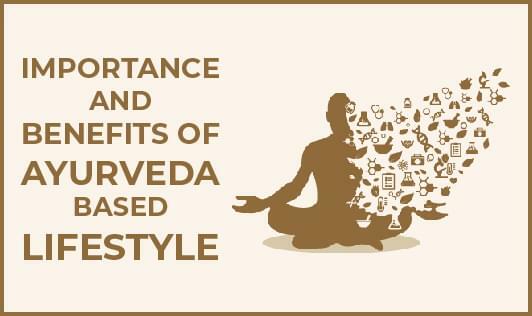 Ayurveda explains the do's and don'ts one has to follow, which helps the well-being of each individual to lead a healthy, happy, comfortable and advantageous life mentally, physically and socially. Ayurveda also emphasizes the saying, 'prevention is better than cure'. Ayurveda is not just medicine but its main objective is to prevent disease, to encourage well-being and to promote longevity. Less use of Western medical treatments. Significant reduction in stress and anxiety. Reduced symptoms from chronic conditions like diabetes, hypertension, arthritis, skin conditions, irritable bowel syndrome and allergies. Improved immunity and reduced frequency of illness. Healthier, stronger bones, nails and hair. Improved hormonal balancing and how to manage their imbalance.